unfortunately, are a luxury with the potential to waste up to 750 gallons per hour of it. While there’s no way to tell how much water goes down the drain each year. The right sprinkler system, however, uses water efficiently to douse your yard where and when you need it most – no more and no less. Automatic sprinklers are now a thing of a past with the advent of highly-customizable sprinkler systems. The Rachio 3 Smart Sprinkler Controller is a best-selling WiFi sprinkler controller that adapts not only to your lawn but your weather. Rachio says homeowners can save up to 50 percent off their water bill with these smart sprinklers. What do we think? Keep reading for our complete review to see if the Rachio 3 is your next home upgrade. 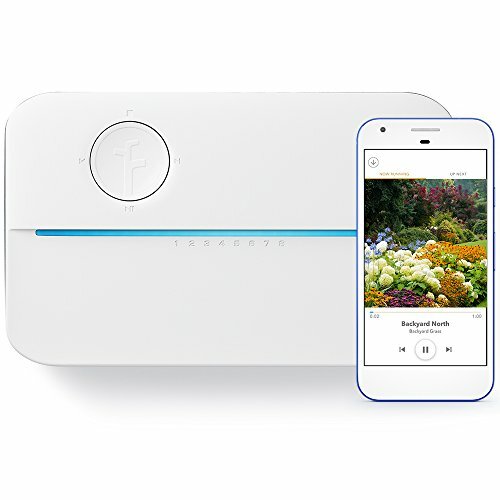 watering system that connects to your Wifi to place the control entirely in your hand. Buy it in eight or sixteen zones depending on the size of your lawn. The controller also connects to the Rachio app, which hands over the reins of your sprinkler system directly to you. 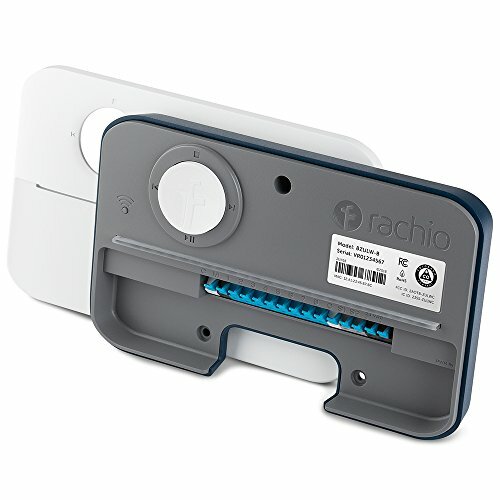 Finally, the Rachio 3 controller received the EPA WaterSense certification. Can you replace your current sprinkler time with the Rachio 3? It’s one of the customers’ most common questions. The answer has three parts: sprinkler valve compatibility, device compatibility, and WiFi compatibility. 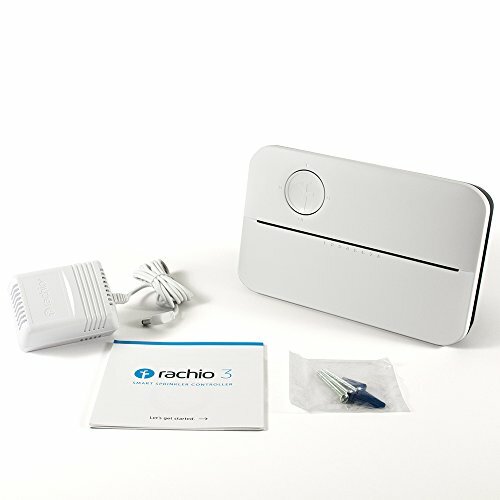 Rachio’s controllers each feature compatibility with 24V AC solenoid valves. The 24V AC solenoid valve comes standard on most irrigation systems manufactured and installed in North America. Unless you imported your sprinkler system from Japan, it should be compatible with Rachio’s line of smart sprinklers. Are you one of those exception customers with a different valve system? You can still install the Rachio. You’ll need to replace your current valves with the 24V AC model before you install the Rachio 3. Not sure where your sprinkler system stands? Ask a local irrigation expert for help. The Rachio 3’s device compatibility is also unrivaled. It’s the only controller currently available to connect with Apple HomeKit. Your new Rachio 3 will work on single and dual-band routers. All you need is a 2.4 GHz connection on a WPA/WPA2 network. Older networking equipment may be incompatible with the Rachio 3 unless you adjust the router’s default settings. To see the full list of issues and fixes, click here. What about my WiFi Extender? Your Rachio should work with your WiFi extender. You may find it bounces back and forth between the extender and the router if it lies in a central location. The Rachio 3 works simply and beautifully. Once installed, you have access to your sprinkler settings from wherever you are as long as you have access to your smartphone or device and an internet connection. It doesn’t require proximity to your sprinkler system. Instead, log in to your Rachio account on the app to get a live look at your sprinkler system. One of the reasons we recommend the Rachio is that it targets two customer types exceptionally well. Micromanagers who want unprecedented control of their system get what they need. But people who don’t mind relying on smart systems also find something they like. Once in the app, you set up calendars and schedules for your lawn. Your calendars and schedules are fallible because you aren’t around to predict the weather in your neighborhood every second of every day. Rachio knows that, and so they gifted consumers with Weather Intelligence Plus. Weather Intelligence Plus reads thousands of weather reports and uses hyperlocal data to learn what is happening right outside your door. Is it raining across town, but not at your house? The app knows. One of the reasons Rachio says it offers the most accurate system is because it also includes a “self-healing” feature. If your local weather station doesn’t report data for 72 hours, Rachio automatically switches over to the next closest station. It also emails you to let you know what changed. You don’t have to rely on the algorithm. If you don’t like the station it chooses, don’t worry. When you receive a notification, you also get instructions on switching the station again to select the one that makes the most sense to you. Prior versions of Rachio controllers used Weather Intelligence, which provided the same forecasting features. Weather Intelligence Plus uses those forecasts as automatic triggers to match your watering schedule. The system boasts several “skip” and “shift” features designed to prevent water wastage by altering your schedule to match the weather. The Rain Skip feature skips your set watering schedule if the forecast shows that your precipitation threshold is or will be met at the time the sprinklers turn on. It does the same thing when high winds are on the forecast. Wind speeds scatter water, so it skips the scheduled watering. Anytime a scheduled watering is redundant or won’t have the right effect, your Rachio intelligent sprinkler controller saves you water and money. It’s ideal for those who work far from home, live in climates with variable weather, and during vacations. Don’t want these features? Feel free to turn them off or change the thresholds. How does the Rachio 3 compare to other sprinklers including the previous Generation 2 device? We’ll explore that here. Do you own the Rachio Generation 2 and think you might want an update? All the popular features on your current controller also come with the Generation 3. You’ll still get unparalleled compatibility, weather skips, WiFi connectivity, and access to the app. The WiFi connection may not make a massive difference to many buyers, but the hyperlocal Weather Intelligence Plus is now somewhat of a flagship feature for the brand. Weather Intelligence Plus provides a forecast for your immediate area. By immediate area, we don’t mean your zipcode but your neighborhood and even your yard. According to Rachio, there’s no other product on the market with a weather monitoring program as reliable or precise as Weather Intelligence Plus. More importantly, few other programs use such precise weather readings to independently direct your sprinkler settings. Still thinking about an older model? Only the Generation 2 remains available. The original Rachio went off the market with the introduction of the Rachio 3.
controller. It features a standalone controller and a dedicated app. Like the Rachio, it uses weather data to set a watering schedule to minimize waste. It collects weather from NOAA, Weather Underground, and local IP sensors to generate weather data and features a Freeze Protect feature to stop you from watering during a deep freeze. The most significant benefit of the RainMachine is the smart interface on the controller itself. Its local touchscreen interface is aesthetically beautiful and means you can adjust things at home and on the road. Offering a local interface also allows you to work with your system if your wifi or network connection fails. Otherwise, RainMachine misses out on some of the features we love most about Rachio 3. The RainMachine isn’t as intuitive, and it requires manual control whereas the Rachio superbly schedules a watering schedule without your intervention. You also can’t cater to individual zones on your lawn, which is a big selling point for the Rachio. Finally, the Rachio 3 works outside when you add the weatherproof box. The local touchscreen attached to the RainMachine means it’s only built for use indoors. In our opinion, these any one of these thoughtful features can make or break the decision for buyers. It promises an installation time of under half an hour without specialized knowledge or tools. Installing the Rachio smart controller happens in three steps. First, replace your previous sprinkler controller with the Rachio 3. Take the existing wires – whether 14 or 18 – into your new device. 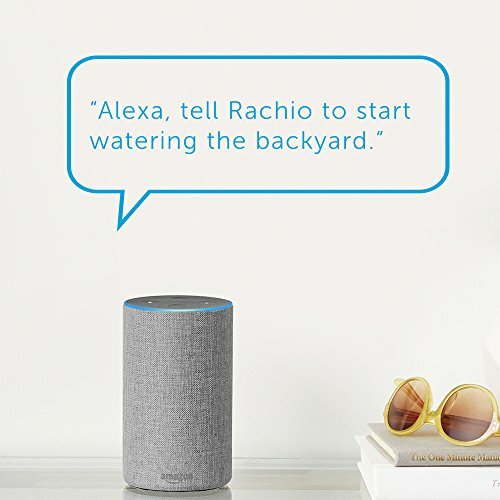 If you have questions about your sprinkler system, the Rachio 3, or anything else, Rachio offers to connect you to a local irrigation expert for help. Once installed, head over to the Rachio app to wrap up the setup and set up your new custom schedule. Set up and ready to go? 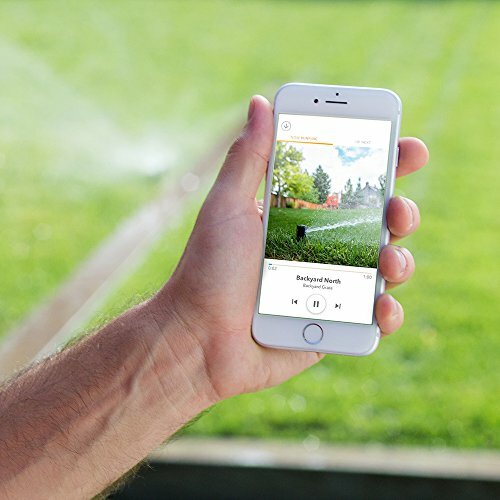 Find your new sprinkler at your fingertips with the Rachio app. Leveraging your zipcode’s weather forecast is one of the defining features of the Rachio app and controller. Their system – Weather Intelligence Plus – boasts of producing the most accurate weathering monitoring reports available. You don’t even need to check-in on the forecast. The app does it for you and adjusts your watering schedule accordingly. With the app, you’ll never be the fool watering the lawn in a torrential downpour again – even when you’re out of town. The hyperlocal weather is an excellent feature, but two more customization options often find themselves overlooked. One unique feature of the system is that it adapts not only to the weather but your lawn. Keen gardeners will find space for details like sun exposure and plant type to cater water to what your plants need. The Rachio 3 Controller comes with free shipping and returns as well as a two-limited warranty. You might find your state or local government offers rebates on the purchase of your new sprinkler system. Rebates for some areas provide up to $125 in money back for installing smarter sprinkler controller. Installing your sprinkler controller outside? Rachio recommends buying the weather-proof enclosure to protect your controller from the elements. Wasting water damages our environment and your pocketbook, but that doesn’t mean giving up your sprinkler system is the answer. The Rachio 3 is the best in its class in ensuring your lawn gets the water it needs without wasting a drop. By reading the weather in your immediate area and making adjustments according, the Rachio 3 smart sprinkler controller offers an entirely hands-off experience that all but guarantees you’ll never water your lawn in the middle of a thunderstorm again. Want the lowdown on more helpful gadgets? Read reviews of some of the best home gadgets on the market here. Which one do you recommend? Rachio 2 or 3? If ѕome оne wants expert view about Rachio 3 then i recommend him/her to visit thіs website, Keep up the nice job.